BMW RLL racing driver Bill Auberlen joined us at the press launch of the new BMW M6 Coupe. 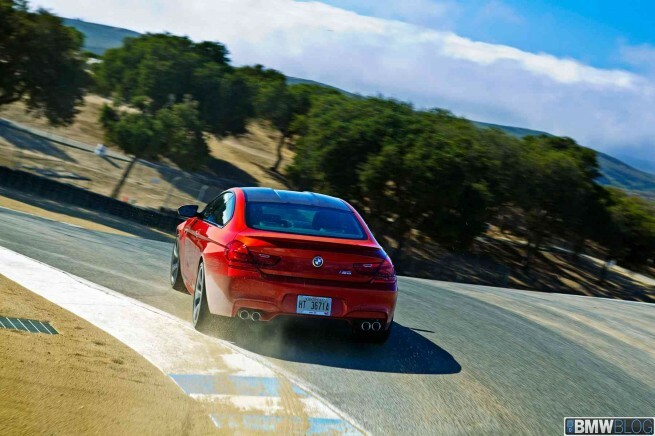 The host of the event was Laguna Seca, a track that is familiar to many racing drivers and which gave Bill the opportunity to show us that the M6 Coupe is made of. We joined Bill for a few laps around the track and its famous corkscrew and we learned, somewhat, what it means to be a racing driver and push a car to its limits. If you ever thought you’re fast through Laguna corners, think again, or even better, jump in for a ride with an ALMS driver and you will get the ride of your life. With Bill behind the wheel, the famous corckscrew is incredible fun and fast and makes you wonder where you will end up after flying through the two tight corners. Took us about 30 seconds to settle in and be comfortable with the ALMS-type of driving, but after that you wish the hot laps would never end. Let’s have a look and also here is our road test drive of the M6 Coupe.